Preparing to move overseas is quite the task. It’s such a big task that we really have no idea how to tackle it. Day by day, we just do the next thing that is in front of us- praying that when moving day comes along we’ll be as ready as can be. I’m not necessarily talking about packing and all that (although I have no idea what I’m doing in that area either), more about preparing our hearts and minds for how our lives are going to change. When we very first started this process some very wise missionaries told us to do whatever we could to prepare our hearts and lives while we are still here in the US. “Get your marriage right, work on those selfish areas in your heart, help prepare your kids’ hearts”. Basically we were encouraged to do whatever we can do NOW while we are in a familiar situation and we have a great church and tons of friends and family around who love us. Because although we will still have loads of rough edges to smooth off when we get to Ukraine, it’s in our best interest to allow the Lord to do some of the smoothing ahead of time. Lord knows things will get a lot rougher in some areas once we get there! Ha! 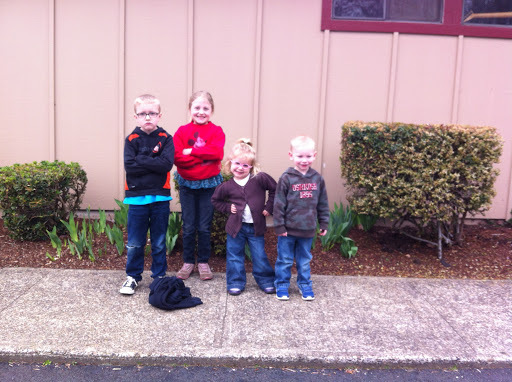 Lately I’ve been thinking more about how to prepare our kids for this major life change. I want to be intentional about preparations with them, because otherwise I know it simply won’t happen. I know myself. 🙂 Like back in February when we first spoke at a church to share the vision, we were on our way to the church and I finally thought to look back at the kids and ask them if they understood what we were doing that day. Addy understood, but Havalah and Ezra were unsure (Seth was just along for the snacks- as usual). It was in that moment that I realized that although they are absorbing a lot just by living in the same house and hearing conversations, we must intentionally talk with them all through this process so their little hearts aren’t left behind. Here are some things we have started doing to help our kiddos along this journey. I’m writing them down partially to keep myself accountable, and partially to encourage other parents to be intentional with your kiddos. We can’t assume our kids will learn what we want them to know about faith and their walk with Jesus by osmosis. We have to have intentional conversations. I am sure a work in progress in this area, so I don’t claim to be an expert of any kind! But, you never know who needs to be reminded of that truth. So here ya go! Transparent has grammar study, audio helps, and an awesome vocab-building tool called “Byki”. Byki is the only part I use with the kids. 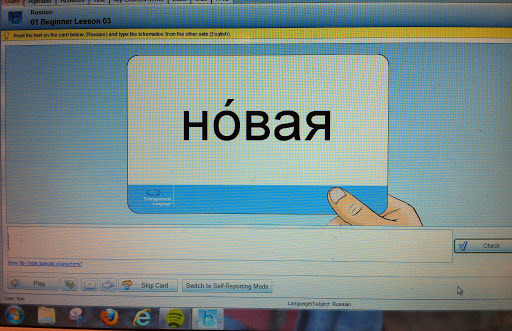 We study our computer flashcards and play little games with the words we’ve learned. They are seeing the words, hearing the words, and saying the words. It seems like the language study has given them more ownership in this process and I love that more than anything. We’ve been lining up speaking engagements at different churches and small groups and have been wondering how to involve our kids more in that process. Yesterday we had a great answer to prayer in that area! The kids and I were invited to share about Ukraine at chapel for a local Christian school where my mom is a teacher. It is missions week for the school, so every day they are learning about different countries and the work being done there. We opened up the week by sharing about Ukraine. Addy and Ez helped me prepare the lesson and even shared part of it with the kids! I was so very proud of them!!! Addy talked about where Ukraine is located, what kind of foods are popular there, what the homes are like, and showed pictures of the capital and important monuments. Ezra talked about language learning, showed a picture of the Cyrillic alphabet and talked about the sound differences and shared some words he’s learned. Havalah had planned to show her nesting doll, but got nervous…I pretty much knew that would happen! Ha! I could see how proud they were to share about Ukraine and it made my heart glad. I think this was a big leap toward them taking ownership of this mission. We were very thankful for the opportunity to share with other children! Ever since we first learned about the need in Ukraine we have included the kids in prayer for the people of Ukraine. And Hanson, where is your Mommy? And Porter, we love you sweet baby boy. Praying every day!! There have been seasons when we have been more faithful in that than others, but over all it’s been a constant in our family prayers. The kids have certain orphans they pray for super faithfully, and most of those children have been, or are being adopted! My sweet Aiden has a family! Our love Sasha has a family! That has been a great faith-builder for them! Now I’m seeing we need to start expanding our prayer time with them to include the caregivers, other believers in Ukraine, and the people we’re going to meet and grow to love there. I want to start praying with them that God will provide them with friends they can love and enjoy life with. Addy and Ez are particularly nervous that they “won’t have any friends”. I know it’s not God’s heart for them- so it’s time to start praying and believing that He will provide friends. Sometimes I get nervous and think “What are we doing? Are we ruining our kids’ lives by taking them away from friends and family? ?” But then I think back to all the words God has spoken to our family along this process. This move is something He has called our whole family to- not just Jed and me. Life in Ukraine is something He is preparing for our whole family. When our loving Father created Adelina, Ezra, Havalah, and Seth He knew what life He was creating them for. He knows how this will grow them and make them into the men and women He has designed them to be. When I was pregnant with Addy a word was spoken that “This baby will be a bridge to people who don’t know Jesus”. I am so excited to watch God fulfill that through Addy. I can’t wait to watch each of our kids blossom and come even more alive as we walk into the destiny God has created for every.single.one. of us. Oh my. Havalah. Can I have her?? Love your family and what you are doing. Hava is quite amazing. 🙂 I can't wait for you to visit us someday…cause you know you totally have to! So I was going to say…(three deleted comments later)…that it is amazing to view your bright, shiny, spectacular obedience and super danged inspiring. All six of you will be a bridge to those who don't know Jesus and you already are a bridge to at least four people who do (hint: there's four people in my family. And I'm one of them). Love you all! Yes my dear… intentional – that's what we should be aiming for in my family too… i'm so glad you are doing what you are doing… praying along with you!